I’ve constantly held the belief that Chip Kelly isn’t close to being a racist. The Eagles head coach doesn’t even get to know his players well enough to form such opinions. Kelly sees a “culture” and wants the bodies on his team to adhere to said culture or risk being banished. 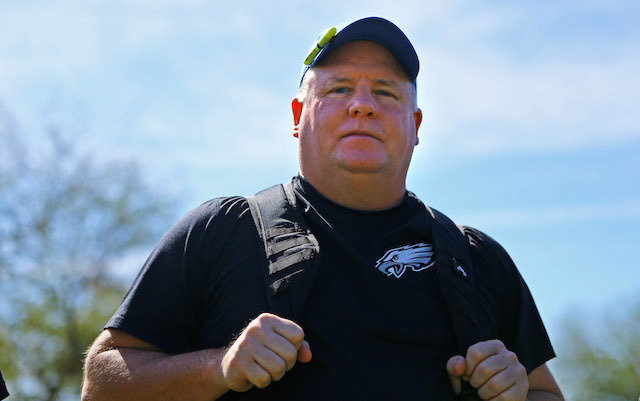 Mike Freeman of Bleacher Report provides thoughts from two anonymous black Eagles players, who believe Kelly is a “dictator” and sees his players as pieces to the puzzle. A second Eagles player added more. Kelly’s belief in sports science, early bed times and pee breaks will likely end his tenure with the Eagles one day, but I don’t belief it will be because of his views on blacks.